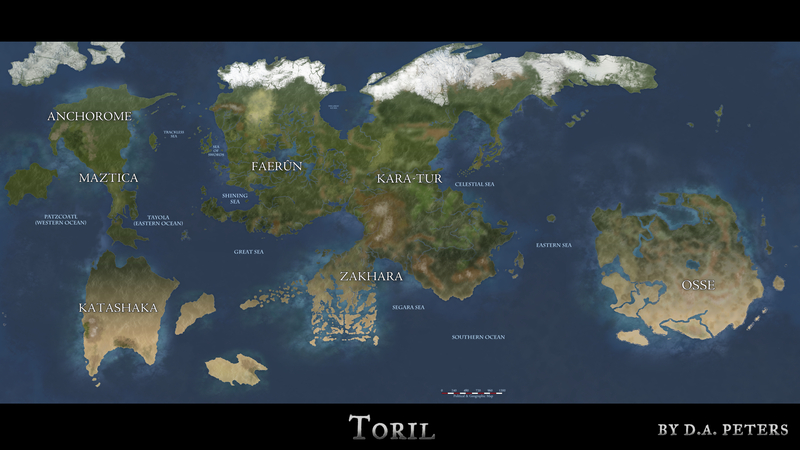 I want to use QGIS to georeference two fantasy (D&D) raster maps, one is the map for the entire world (Toril), one is the map for one of the continents (Faerun). This is the post with the world map. 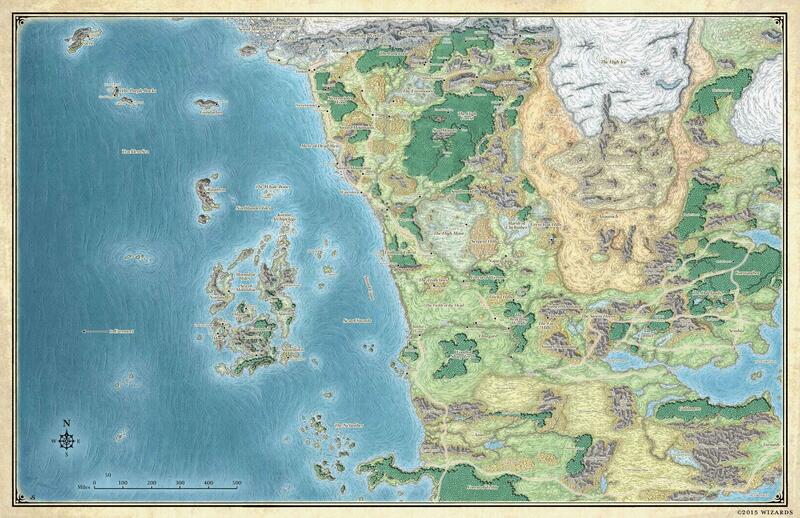 This is the website with Faerun map. I have already aligned the continent map to the world map in gimp, and marked the corners on the world map where the continent map should go (in order to be able to easily find them on the georeferencer plugin). I have also recentered the whole map to have the equator and the prime meridian at the center of the image (I don't know if this was needed). Now I would like to import both of them in a QGIS project and (sorry for improper terminology) place them on a sphere/world. I need to specify a projection, but I have no idea what kind of projection I am looking at in the world map, and I also think I need to create a .pngw file to tell the georeferencer plugin about the measures in this map, but it's not clear how should I calculate the needed values. For the moment we can assume that Toril has the same size of Earth. I have already seen this question Get correct measurements for fantasy world map but I am starting with only two raster images with no georeference data of any kind. I suppose there are many ways, personally i would georeference the image to the real world. Here is a tutorial of how to georeference data in qgis, you can just follow the example of the "scanned image", which is basically the same what you got, a plain image without geographic data. "I would just try to get the OSM into your QGIS, and then georeference your image to that background, with the width of your image being the width of the OSM, and the height being whatever looks plausible to you, keeping distortion as low as possible"
this way I can ignore the fact that a smaller region map does not align perfectly in all its features with the bigger map. What CRS to use for cylindrical raster world map?